TIMBER!!! 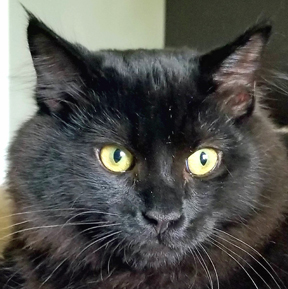 This handsome, stocky lumbercat is waiting to meet you. Timber is on the shy side and would do best in a quiet environment. This nugget is a definite night owl and is often found napping during the day. Timber prides himself on his Teddy-Bear-good-looks and getting this little guy to purr is easy since he loves love. His favourite toy is the undefeated laser pointer. Timber does enjoy the company of older cats and can often be found following around his older foster brother. Timber is looking for his forever home - is it with you?